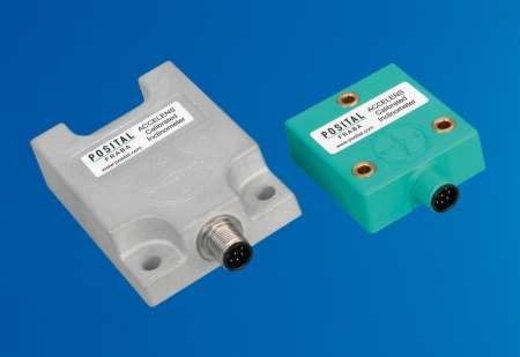 The absolute inclinometer by Posital identifies all the points of a movement by means of a single digital signal. Due to their capacity to give a single, exact position value to all x- and y-inclinations positions, inclinometers have become one of a very interesting alternative to a single-turn absolute encoder as a links between the mechanical system and the control system. ACS – Accelens: The basic principle behind this ACS inclinometer is the micro-electro-mechanical systems (MEMS) sensor cell. Suitable for higher measurement range and for fast applications. Very robust and ultra compact housing in plastic (PBT) as cost effective design or aluminium for outdorr application.